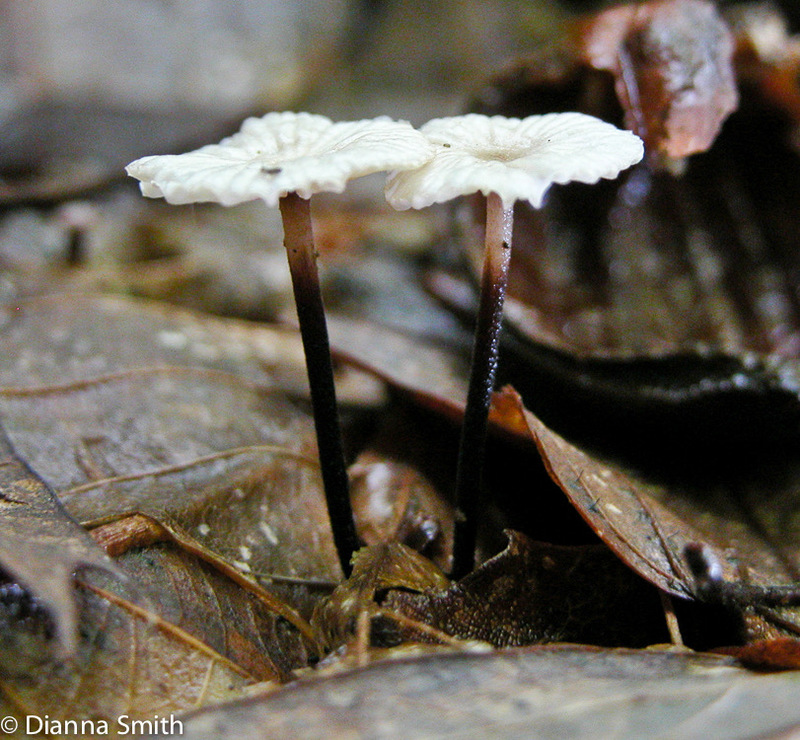 Marasmius delectans is a common decomposer of both wood and leaf litter. 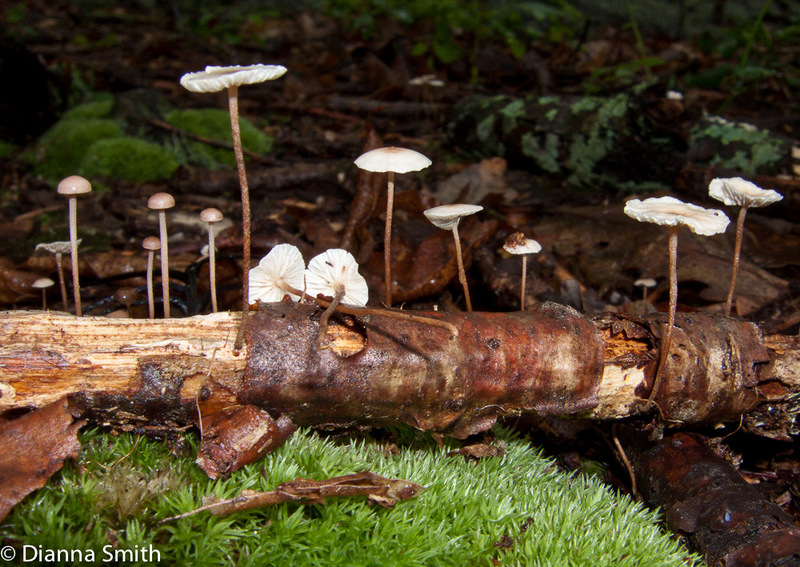 Large mycelial mats can be found at base when in leaf litter. White convex cap becomes flat with a bumpy margin and is usually a little darker in the center. The gills are usually somewhat distant. The hollow stem is pale yellow or reddish-brown set becoming darker from the base upward. It has white spores.